Lunch is packed in Kidlet's tiffin today. This box has remained largely unloved in the past due to it's size but now it is just right! Top round has a Boca Chik'n patty sandwich with cheese Batman logo. 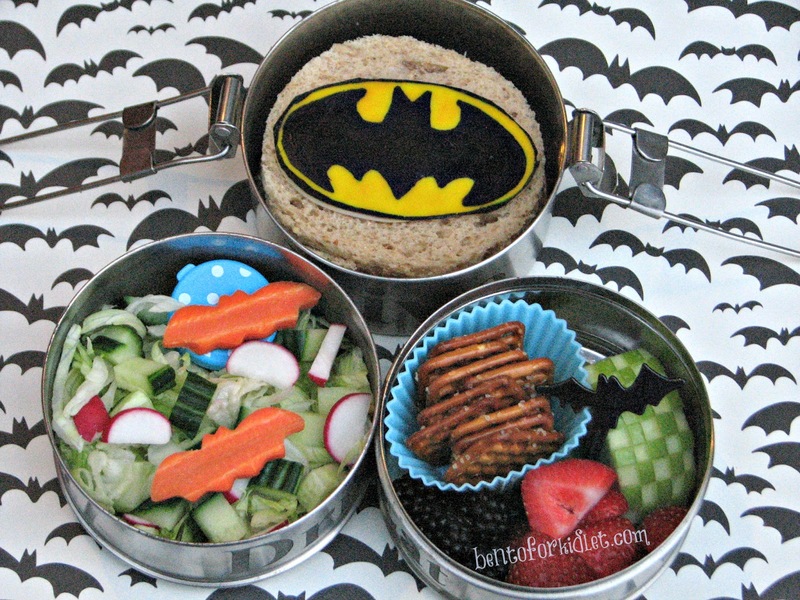 Bottom left round has a salad with carrot bats. Bottom right round has pretzels, blackberries, strawberries, and a checkered apple. Ooo LOVE this lunch! And the Tiffin! I myself LOVE batman, so I think it's a winner! 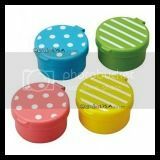 The lunchbox itself is very interesting, closer to ''traditional'' bento style, yeah? At any rate, great work! Super cool tiffin lunch for Kidlet, love all the bats and awesome backdrop as well!... Rockin! Great lunch. Your checkered apples really are perfect every time !